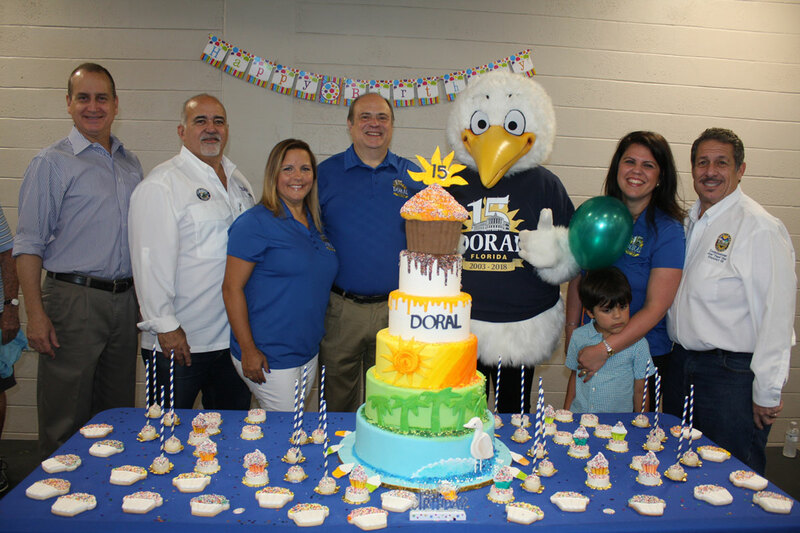 Doral, FL – The City of Doral continued the 15 Year Anniversary celebrations with a family-friendly event on Saturday, June 23, 2018. 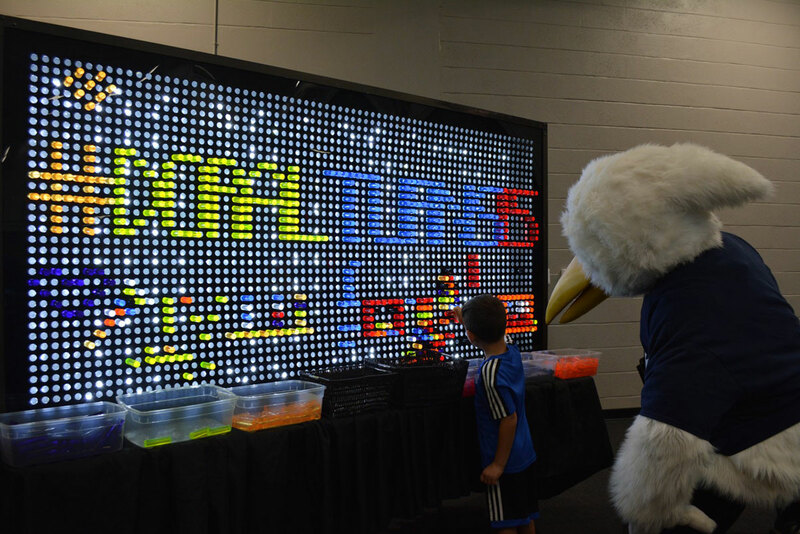 To honor this important milestone, thousands of residents and members of the community came together to enjoy a day filled with free games, music and activities at Doral Legacy Park. The Mayor and Council were joined by special guests and long-time supporters for the City, Florida Congressman Mario Diaz-Balart and Miami- Dade County Commissioner Jose “Pepe” Diaz. 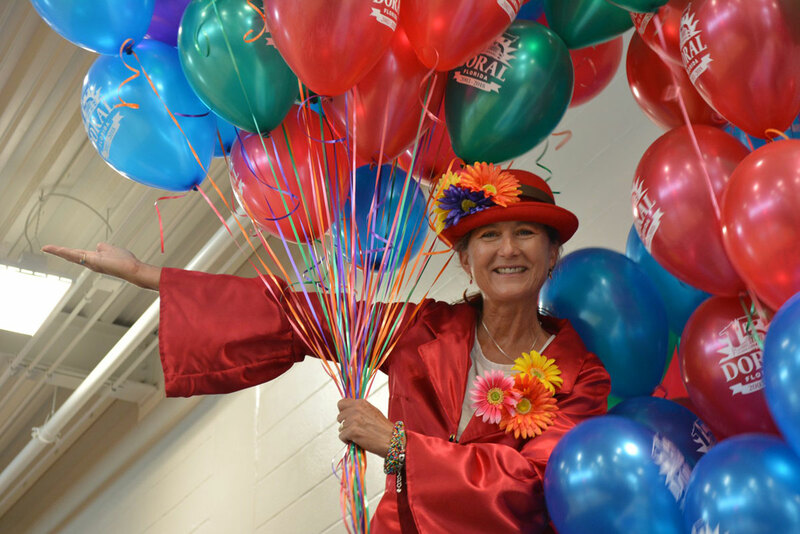 The festivities, presented by Doral Toyota, included a special presentation to sing “Happy Birthday” to the City with free, sweet treats provided by cake designer, Cakes by An Mary. 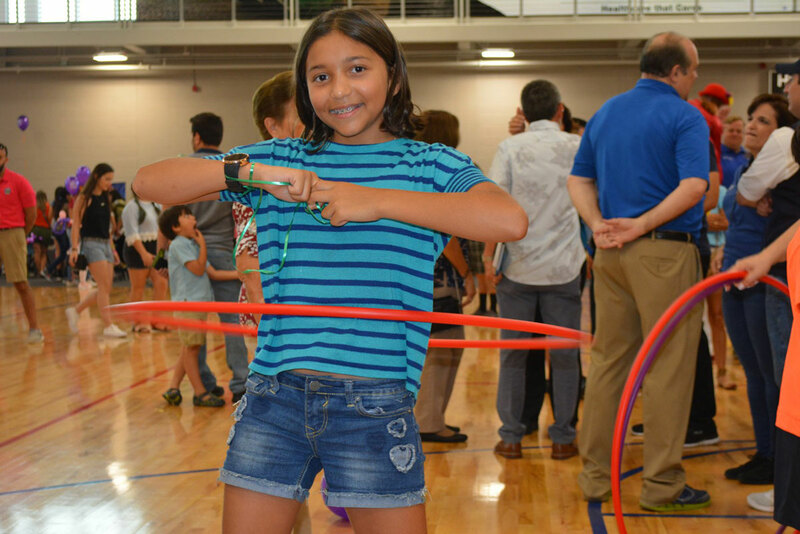 Other free activities for the family to enjoy included a face painter, giant board games, bubble soccer, balloon twisters, giveaways, and a special arts and crafts activity from Pérez Art Museum Miami (PAMM). The event also marked the launch of the City’s new partnership with Pérez Art Museum Miami (PAMM) for the Inside|Out Program which aims to bring high-quality reproductions of art from the museum’s permanent collection Doral parks. The installations will run through the end of August. Doral was one of the few cities selected due to the community’s support and love for arts and culture. 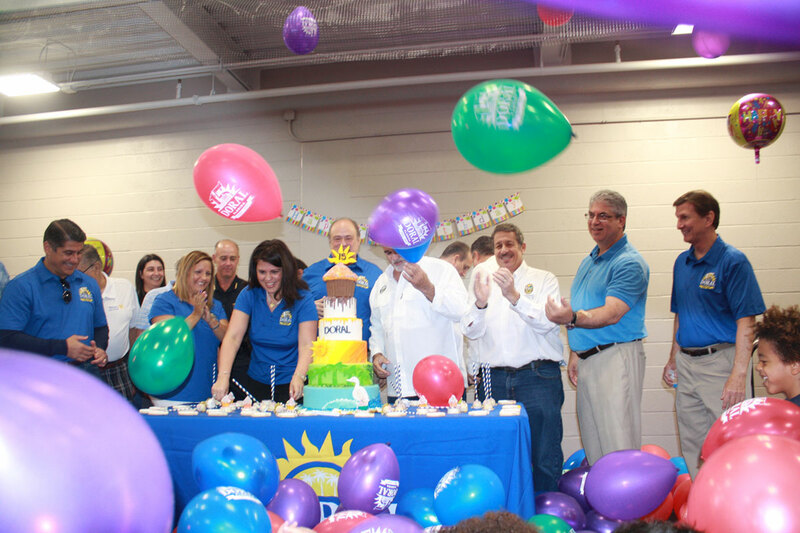 The City of Doral 15 Year Celebration was made possible by the generosity of proud sponsors: Doral Toyota, Cakes by An Mary, and Jackson Health System. The City’s 15 Year Anniversary events will culminate on Tuesday, August 21st, at 6pm in Doral Park County Club. The reception will include a special presentation to commemorate the first Doral Council Meeting and swearing-in of the first Councilmembers.